The solution is regular cleaning to rinse off the salt. Use cold water (heat increases the rusting action too). A cold hose pipe is best, don’t use a pressure washer, this will force water into places where it wouldn’t normally get to and won’t dry, causing more rust… A job for the weekend for sure. I doused the bike in ACF50 back in November, which I’m very glad off. This should have covered everything in a protective film preventing rust and halting any existing corrosion. Ideally, reapply more ACF50 after each wash.
Salt was the death of my new ducati monster. I cant stress how much of a real pain it was to constantly clean the salt off everyday. I too had the entire bike ACF’ed and used FS365 but this still was not enough to prevent corrosion of engine bolts and eventually the exhaust manifold. 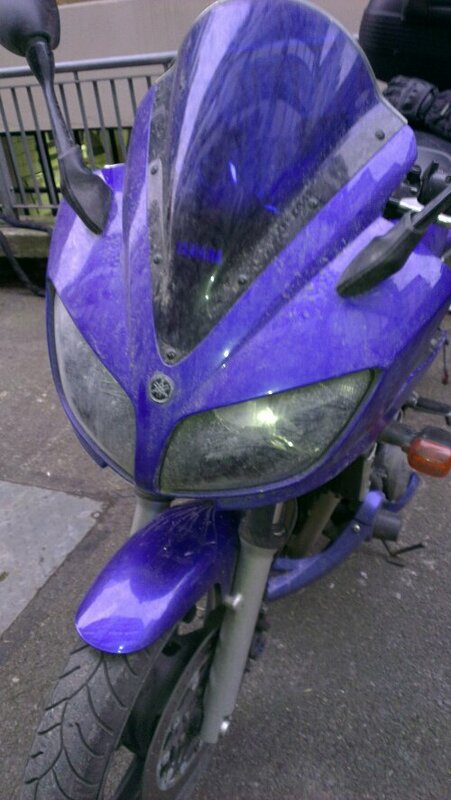 I was later told that any naked motorcycle generally cannot stand up to the abuse of grit on the roads for 3 months. This year I’ve opted to leave the bike in storage until the gritters are packed away. Just something to remember for the future to try and keep your baby looking fresh. Eeek, that doesn’t bode well. 🙁 I shall definitely have to wash down the bike more often than I have been. My Fazer is a nice looking bike, though not as precious as a Ducati, but I was still a bit dismayed to see the Fazer listed in a recent Ride mag as a good winter hack option!